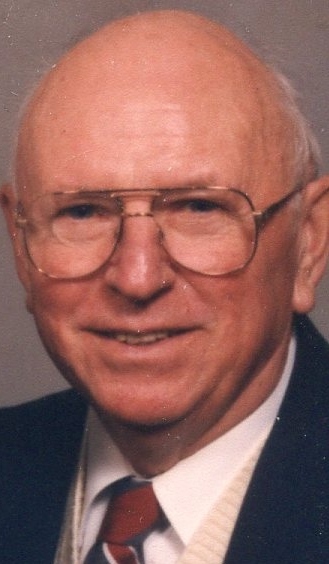 Herbert J. Schwichtenberg, age 96, of Slinger, formerly of West Bend, passed away on Friday, August 3, 2018 at the Wisconsin Veterans Home in King, WI. Herbert was born on May 23, 1922 in Neillsville, Wisconsin to the late Anton John and Elsie (nee Dudie) Schwichtenberg. He honorably served his country during WWII as a Sargent in the United States Army. On February 9, 1946, Herbert was united in marriage to Lorraine Wetterau at St. Stephens Lutheran Church in Edgar, WI. Lorraine preceded Herbert in death on March 8, 2002. Herbert was a production manager at the 7-up Company for over 50 years and eventually worked part time at the West Bend Daily News in his retirement. He was a member of Trinity Ev. Lutheran Church in the Town of Jackson and was a life member of the Fred A. Schaefer Post #1393 of the VFW. He was an avid golfer and enjoyed playing bingo. He also enjoyed hunting and fishing. Those Herbert leaves behind to cherish his memory include his two daughters, Sandra (Michael) Wimmer of Slinger and Valerie Trevino of Eureka, KS; nine grandchildren; thirteen great-grandchildren; seven great-great-grandchildren; a sister, Eleanor Holzmann-Genz of West Bend; a son-in-law, Warren (Barbara) Janz of Tomahawk; two sisters-in-law, Mary and Bernice Wetterau; and many other relatives and friends. 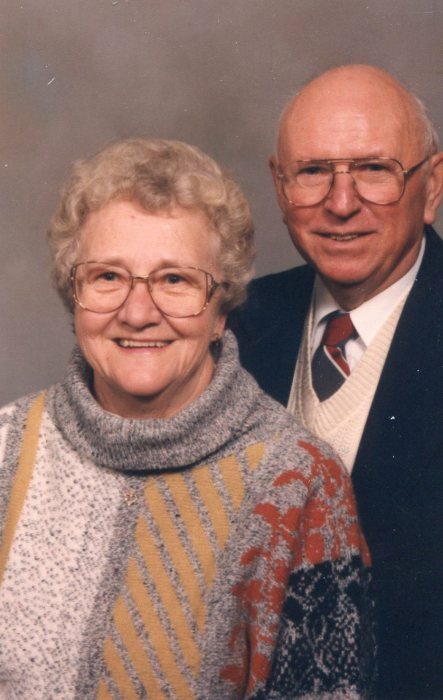 In addition to his wife and parents, Herbert was preceded in death by his daughter, Carol Janz; two great-grandchildren; a son-in-law, Jacob Trevino; a special friend, Dolores Faber; three sisters, Ella Mae Groh, Carol Montgomery, and Donna July; a sister-in-law, Allene (Jack) Dahlke; and three brothers-in-law, Dennis, Orville, and Norman Wetterau. A memorial service in remembrance of Herbert will be held on Saturday, September 1, 2018 at 11:00 am at the Myrhum Patten Miller & Kietzer Funeral Home (1315 W. Washington St. West Bend). Rev. Kenneth Mellon will officiate and burial of Herbert’s cremated remains will be in Washington County Memorial Park. The family will greet relatives and friends at the funeral home on Saturday from 10:00 am until the time of service at 11:00 am. The Myrhum Patten Miller & Kietzer Funeral Homes have been entrusted with Herbert’s arrangements.